Supply chains are growing increasingly complex. And while globalization and the Internet of Things have made it easier for companies to find and partner with suppliers that offer them the most value, they have also contributed to a more extended and multi-tiered system. This has become particularly problematic lately, with more businesses facing pressure to improve end-to-end supply chain visibility, transparency and traceability, as well as demonstrate themselves as being both socially and environmentally responsible. There is no shortfall of issues and responsibilities supply chain managers have to deal with on a daily basis. Fortunately, there are many ways to streamline the process and make it significantly easier - and more cost-effective - then it otherwise would be. And one of those strategies is investing in the right supply chain software and technology. As the world becomes increasingly digital, it is providing organizations with devices and tools that enable faster workflow efficiency, process improvements, more accuracy and better control over their operations. However, some industries and segments are still using outdated systems and models. For example, as we previously reported, procurement professionals in the transportation sector are still relying on manual processes for a lot of their work, including the use of spreadsheets and email for communication. And while every company should use the strategy that works best for its purposes, just because a firm is familiar with a certain system doesn't necessarily mean it is the best one. Furthermore, maintaining the mindset that there is no reason to adopt a new way of doing things simply because what's being used now seems to be working can put organizations at a competitive disadvantage. The relationship you have with your vendors and stakeholders plays a crucial role in the overall success and performance of your organization. SRM software, such as third-party management systems, can be used to facilitate better, more consistent and effective channels of communication with suppliers. Not only can it help manage diverse suppliers, but it also reduces the risks associated with a lack of collaboration, integration or transparency with distant tiers of the supply chain. By establishing tighter control over contracts and the relationship as a whole, vendor management software can significantly enhance the tracking and monitoring of supplier performance, customize your compliance needs and ensure that third-party providers are meeting their requirements. One of the most crucial functions supply chain and procurement professionals have is in regard to uncovering cost-savings opportunities. Software applications and systems allow you to gather, aggregate, analyze and interpret incredible amounts of data. In turn, you will be able to make better, more informed decisions and fine-tune your business strategy to maximize revenue and reduce costs. Furthermore, eSourcing solutions allow you to leverage real-time information and market intelligence to your advantage, ensuring that you are choosing suppliers that can offer you the most value for the lowest possible cost. A growing concern surrounding the increased popularity and widespread adoption of the Internet of Things has to do with security. 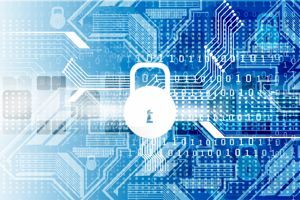 And while cybersecurity is certainly a necessary aspect to consider with your supply chain software and technologies, it is also important to note that innovative systems can vastly improve the overall protection of your critical infrastructure. Hackers are getting more sophisticated and strategic in their behaviors and techniques, so it is imperative the organizations adapt and evolve their critical infrastructure defense in tandem. Investing in best-in-class eProcurement and supply chain software won't put you at greater risk - it is actually a safer solution than using immature, outdated systems that are prone to security penetrations. Using supply chain software and technology gives companies today a competitive advantage. However, it is extremely important that executives don't just choose any innovative system they come across and assume the benefits will autonomously emerge. Jumping too quickly into a new technological solution, without first making sure it can be seamlessly integrated with existing systems, as well as deploying it before all necessary parties have a thorough understanding of how to properly use it, can lead to delays in production as well as increased expenses for the company. To avoid this, and increase the likelihood that you make the best investment possible - and correctly implement and deploy the software - it is highly recommended that you first consult with a third-party consulting firm that specializes in supply chain technology.